Fossil fuel divestment is a movement in the US with the goal of getting pension and endowment funds to remove fossil fuel companies from their portfolios. The logic is that pension and endowment funds exist to provide funds for future beneficiaries, yet fossil fuel companies represent one of the biggest known threats to that future. Like most people I know a bit about global warming, but having read Bill McKibben’s article in Rolling Stone, Global Warming’s Terrifying New Math, and following that up by looking at the related website 350.org, I thought I’d take a deeper look. Not least because I’m a shareholder of BP, so I wanted to know if this push for divestment was purely an ethical decision or if it made financial sense too. Fortunately many smart people have been here before me, and in 2011 the Carbon Tracker Initiative brought together data from various research projects into a report called Unburnable Carbon. The report provides investors with a clearer picture of the potential impacts of climate change mitigation and adaptation on the value of companies that sell fossil fuels. In 2010 the UN Cancun Agreements laid out the international community’s commitment to keep the global average temperature rise below 2 degrees centigrade (even this level has been called a “prescription for disaster” by James Hansen, one of the world’s leading climate scientists). In 2009 the Potsdam Institute for Climate Impact Research found that in order to stay below 2 degrees the global carbon budget for 2000 – 2050 would be 886 billion tons of CO2. That sounds like a lot, but by 2011 research published in Nature indicated that over 320 billion tons of that budget had already been used up. That leaves us 565 billion tons of CO2 to play with from 2011 to 2050, and that’s where the trouble really begins. The Potsdam Institute also calculated the total potential emissions from burning all the world’s proven fossil fuel reserves (proven meaning there is a 90% probability that the reserves can be extracted). That number came to 2,795 billion tons of CO2. So we have a budget from 2011 – 2050 of 565 billion tons, with proven reserves of 2,795 billion tons. That’s more than five times our carbon budget if we’re to keep global warming to below 2 degrees. If we do stick to the 2 degree plan then we can only burn about 20% of proven global reserves by 2050. Why are companies like BP spending vast amounts of shareholder’s money hunting down more and more reserves when they won’t be able to sell what they already have? There may be some argument for chasing gas as it is less carbon intensive than oil and coal, but to spend money exploring and extracting heavy tar sands and the like just doesn’t make sense to me if we’re to have a chance of keeping warming below 2 degrees. In 2012 the International Energy Agency (IEA) published their Energy Technology Perspectives 2012 report showing that in a 2 degree world fossil fuel use must decline in each successive decade. By 2075 global fossil fuel consumption would be around a quarter what it is today. This would lead to supply exceeding demand, which would lead to lower prices. BP’s revenues would take a double hit from selling fewer fossil fuels and selling them at a lower price. In this scenario companies like BP have a long-term future of declining revenues, profits and dividend payments for shareholders. The fact that investors are still valuing companies like BP as if they were going to grow their fossil fuel businesses in the future, in contrast to what is required to limit warming to 2 degrees, is known as the carbon bubble. But what if we don’t achieve a 2 degree world? What if the world continues to burn as much fossil fuel as BP and the rest of the fossil fuel industry can supply? In that case, as a BP shareholder I’m bound to be better off. Or am I? In 2013 BP published its Energy Outlook 2030, which contains the company’s projections of future energy trends. They represent a more “business as usual” viewpoint than the IEA’s 2 degree scenario. Roughly in line with the IEA’s projections, BP expects global energy demand to grow by 36% by 2030. However, unlike the IEA which sees fossil fuel use declining by 2030 in a 2 degree world with heavy use of nuclear and other alternatives, BP sees unconventional oil and gas playing a major role in meeting growing energy demand. Rather than rapidly declining carbon emissions, BP’s report talks about limiting the growth of carbon emissions. The biggest departure from the IEA report is that BP sees fossil fuel use increasing by about 30% by 2030, and continuing to grow beyond that. In contrast, the IEA sees energy from fossil fuels declining slightly by 2030, with steeper falls coming after that date. Under BP’s 2030 outlook, BP’s business does well. Unlike the carbon restricted 2 degree world, in this scenario BP is able to sell as much fossil fuel as it projects, and so with growing demand and consumption, BPs revenues, profits and returns to shareholders are likely to grow. So as a BP shareholder I would want to see scenario 2, where BP can sell as much fossil fuel as it can. But it seems that such a viewpoint is missing a vital negative feedback mechanism between higher carbon emissions and global prosperity. BP’s Energy Outlook 2030 provides a section on the implications of its outlook. One important implication is that unlike the 2 degree world, BP projects that carbon emissions will continue to climb through to 2030, at which point the annual emission rate is 40 billion tons of CO2 a year, up 30% from today’s rate of 30 billion tons a year. That rate of growth is almost exactly the same as the one used in the Potsdam Institute study. It’s a rate of growth that sees us use up the whole 2050 carbon budget by 2028. By 2030 we would already be 75 billion tons over-budget, whilst still adding another 40 billion tons a year. BP admits that this rate of emissions is well above that required to keep greenhouse gas concentrations below 450 parts per million (which is the current limit, already considered too high to keep warming below 2 degrees). The carbon emission projections in BP’s report are even above those required to keep global warming to less than 4 degrees, let alone 2 degrees, according to the IEA report’s figures. So if BP’s success results in a world which is 4 degrees warmer before the end of the century, what impact would that have on the rest of my portfolio and that of my children? Although 4 degrees doesn’t sound like much (depending on where you live it might even sound like a good thing), it’s important to realise that the last ice age was just 4.5% to 7% cooler than today, and yet much of the UK sat under an ice sheet more than a mile thick. The World Bank published a report in 2012 looking into the consequences of a 4 degree warming, and they are not good, either in the broad sense or from an investment point of view. The implications are so many and so vast that it’s hard to know where to start. A 4 degree warming would result in a colossal change to the global climate and scarcely imaginable disruption to the lives of billions of people, including those of us in the UK. The financial implications are that the disruption from a 4 degree world would make the global financial crisis look like a walk in the park. It seems very likely that success for BP and the other fossil fuel companies in the next couple of decades would spell disaster for the rest of most people’s portfolios in the longer-term. Stay invested in BP and other fossil fuel companies and hope that they do well in the years ahead, growing their profits and paying healthy dividends to shareholders. The flip side as I’ve said is that most portfolios would suffer enormously in the decades ahead as the world struggles to adapt, if it can, to a world which looks more like the Pliocene than the Holocene in which civilization developed. Stay invested in BP as an activist investor, voting to elicit change in the company’s capital allocation plans. Specifically, to work towards a 2 degree world by either redirecting exploration budgets towards a sustainable future through renewables and other technologies, or by downsizing with integrity and returning most of the current exploration budget back to shareholders. Divest from fossil fuel companies because it is logically inconsistent to want one investment to succeed when that success will be more than offset by the negative impacts on the rest of the portfolio. And so I find myself in the position where I will be selling my BP shares in the near future. I will also be writing to the managers of any funds that I own, pointing out the losses to the funds that may lie ahead due to climate change if BP and other fossil fuel companies have their exploration plans effectively rubber stamped by institutional investors. It may also be a breach of fiduciary duty if fund managers fail to address obvious non-financial systemic risks such as climate change, even if they do manage to achieve their short-term, benchmark hugging goals. After all, going down with a sinking ship is no excuse for sinking the ship in the first place. This is an interesting topic. I was aware of climate warming issues but I really felt the wake up call this year at a Dimensional conference about Sustainability Investing. There were some scientists there and my question was what will happen if the world will warm up by another 2 degrees? I didn’t have a proper answer but what they said is that computer simulations don’t look great. However there is another issue when we get to what we invest in. For example BP, if the industry finds a way to collect the CO2 and store it liquified somewhere in a hole this may not be a big issue anymore. Hard to say how to value BP looking at this. Better for me: my position always was mining is a ‘no go area’ for investment; not because enviromental issues but because winners are very hard to find. 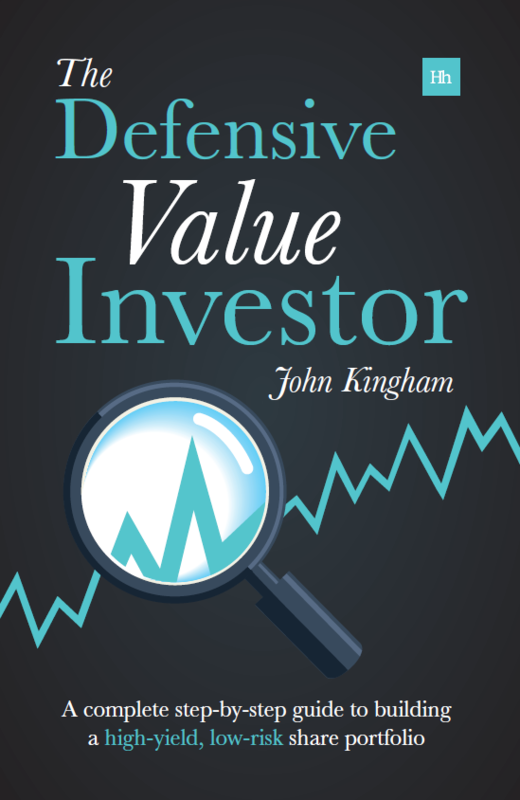 My father was a CFO for a mining company and his question always was: how would you value a hole in the ground? Carbon capture and storage is already factored into models by organisations like the IEA (http://www.iea.org/publications/freepublications/publication/name,39359,en.html). It’s an important piece of the puzzle but certainly isn’t a silver bullet. Thank you. A very good and clear analysis of this issue. Will you be returning to this topic in the wake of the IPCCs 5th Assessment WG1 report (AR50 on the underlying climate science? As you probably know this contains for the first time in an IPCC report a rigorous carbon budget. There is a good summary on Cambridge University’s CPSL web site http://www.cpsl.cam.ac.uk/ipcc and Imperial College London’s web site http://www3.imperial.ac.uk/climatechange. Have you thought about the role of financial & banking regulators to look at this? One would assume they want to manage this risk to avoid another financial crisis? It is interesting you use BP as an example. BP is one company that did try and move into renewables and clean energy under Lord Brown. The rightly or wrongly the common perception is that they were punished by their investors for doing so and told to re-focus on their core business. Increasingly a view is taking hold that oil & gas companies like others before them (Kodak, Blockbuster, Baldwin the one of the biggest steam locomotive companies back in the day) do not have the vision or flexibility to make the jump from fossil fuels to clean energy. So we need to develop renewable energy majors to provide the balance. Would be very interested in your views. Hi Anthony, thanks for your comment. I’ve sent you a somewhat lengthy email on this. The gist though is that yes, I’ll probably write on this subject again, and that I do think the financial regulators and fund managers have a job to do in avoiding the worst of climate change. I also think that BP et al are unlikely to be the solution. We need visionary companies who are willing to invest capital where the returns on capital, from an internal rate of return point of view, are worse than other options like developing better versions of existing products or becoming more efficient (see the “capitalist’s dilemma”). We need more people like Elon Musk who see companies as a social enterprise where the improvement of society is as much the end goal as is maximising discounted cash flows. This is one of the best assessments of the situation that I have read. Nice Work. 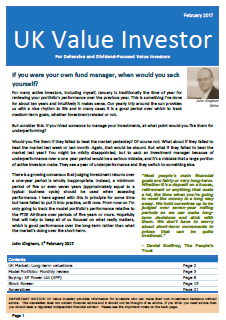 Its great to see many large active fund managers are asking the same questions. Have you sold your BP shares yet? Hi Ben, thanks. Ultimately, money talks. The Carbon tracker initiative and the “carbon bubble” idea have really hit home with asset managers and investors like myself. Hopefully the pressure will build and the fossil fuel companies will do the right thing. I haven’t sold the shares yet because I want to tie the sale in with a letter to the managers of any funds that I hold, asking them to consider the carbon bubble. I hope to get all that sorted and written into a post next week. Quick update on this one – I have now sold my personal BP shares although the company is (as at 30/10/13) still in the UK Value Investor model portfolio. However, I expect it to be ejected from there at some point during 2014. I wonder how long it will take for enough people will sell BP to move the share price? Perhaps the model portfolio could become an activist investor? Hi Ben, the idea isn’t so much that it affects the share price (especially with a huge company like BP), instead it undermines their social license to carry on business as usual. It builds an awareness in the population that global warming isn’t some mad conspiracy, but is something that will affect their pensions (and much else besides, but for now we’ll keep the focus on pensions). The model portfolio doesn’t have any ethical stance, but it does have a long-term viewpoint, and my assumption is that we will stick to the 2 degree plan and a carbon limit of 350-450 ppm, which implies that BP will not be able to sell most of their reserves as fuel. Therefore the company’s long-term value over a decade or two is in serious doubt. On that basis I will probably sell somewhere in 2014 as I said before.